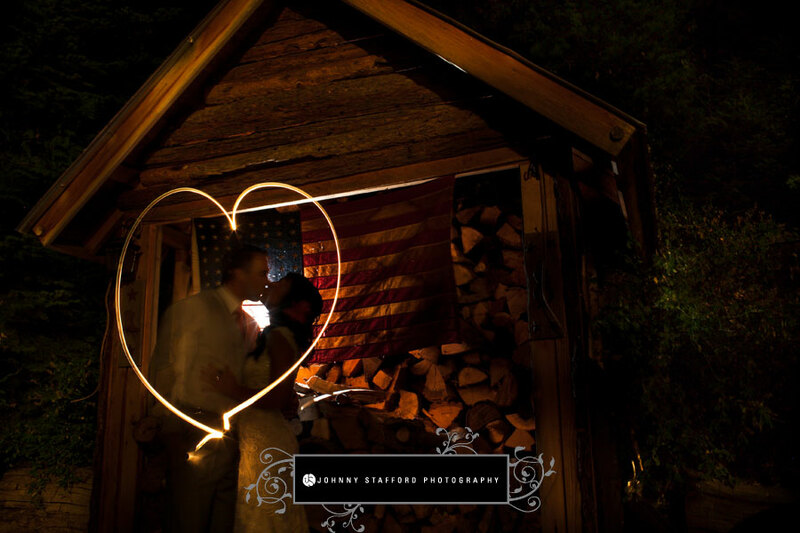 Johnny Stafford Photography is the award-winning, husband-and-wife team of Johnny and Cindy Stafford. The Staffords have been photographing weddings in Fresno, Yosemite and other California destinations for over 10 years. They met in college at Fresno State when Johnny sent Cindy a secret-admirer note. They have been together ever since… for over 20 years. One of Johnny’s first loves was photography, which he discovered as a teenager. The beauty and power of image-making led him to pursue it as a career. He has taught photography for over 20 years at a high school in Fresno, California. This allows him to give back the passion for image-making that captivated him years ago. When not teaching or photographing weddings, Johnny enjoys fly-fishing. After working for several years as a graphic designer, Cindy left the advertising world to join Johnny in starting their photography business in 2004. In addition to photography, she manages the studio operations, editing, design and customer service. She enjoys working with couples from the wedding planning stage all the way through designing their custom albums. Soccer is her favorite hobby. The Staffords also love to go camping with their kids and friends. Why is Yosemite a great place to get married? When people dream of their weddings, they often visualize historical cathedrals or tropical beaches. We think Yosemite is the most beautiful “cathedral” on the planet and has gorgeous rivers and beaches of its own. For couples with a love of nature and beauty, Yosemite is such an ideal and meaningful wedding destination. Why do you enjoy taking photos in Yosemite? There are so many reasons we enjoy taking wedding photographs in Yosemite. In addition to capturing the beauty of the landscape, we are honored to document the love and joy between couples on such a special day in their lives. For many, the celebration is not just a wedding day, but a true destination wedding experience where family and friends gather from around the country (and sometimes around the world) to spend a week exploring and enjoying the splendor of Yosemite National Park. For some, it’s their first (and hopefully not last) visit to the area. Capturing images of a couple and their family and friends during the event of a lifetime is really an incredible experience. We often ask couples what brings them to Yosemite for their wedding day. Each couple has a reason close to their heart for exchanging vows in Yosemite. Some were engaged in Yosemite or have parents who married here. Some grew up camping here in summers or own a cabin that has been in the family for generations. Some are avid climbers or trekkers who have hiked Half Dome multiple times or backpacked all over the high country. Others have never visited before, but chose a beautiful place they have always dreamed of seeing. The one common tie, though, does seem to be an absolute love of nature and the outdoors. What is your favorite Yosemite location for wedding photos and why? It is so hard to pick our favorite Yosemite wedding location for photography, since the seasons, weather, light and landscape provide a different experience throughout the Park at different times. There are so many breathtaking photo settings including the winter snow blanketing Yosemite Valley, rich golden colors of the Black Oaks in the fall and spring runoff filling the waterfalls. With over 10 years of experience photographing Yosemite weddings, you might think that we see the same locations week to week, but we always love discovering new locations and perspectives every time we pick up our cameras. The location that takes our breath away the most, though, is Glacier Point. Every time we drive up Glacier Point Road, we feel a thrill of excitement when we make the hairpin turn at Washburn Point. It seems like you can almost grab Half Dome, because it appears so close. The views at 7,000 feet rival any photo location we can think of. What was the most memorable wedding you’ve shot in Yosemite? Yosemite weddings are so unique and every couple makes their wedding memorable in their own special way. One of the most memorable moments for us was a small intimate wedding at Glacier Point. The couple was sweet, quiet and reserved and they had family that had traveled from Asia to celebrate their marriage. Everyone was completely blown away when the groom broke out into song to serenade his bride during the vows. The bride was so touched and had tears rolling down her face. During the serenade, the Best Man grabbed hidden signs that had the lyrics to “Can’t Help Falling in Love with You” on them and held them up so the guests could sing along. It was amazing and so emotional. 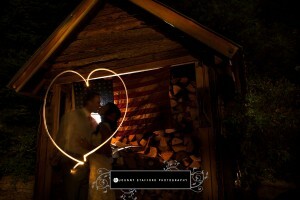 What are the key components for a great wedding photo? What we look for in a great wedding photograph is a combination of lighting, composition, and the capturing of special moments of the day. Moments like the bride in beautiful light when her father sees her for the first time on her wedding day, or seeing light cascade across the granite walls of Yosemite when photographing a ceremony at The Ahwahnee, or just noticing the smile on Grandmas’s face when the couple dances for the first time; these are the priceless moments that couples are going to want to look back on many years from now in their wedding album. It’s really about finding or creating that perfect light, framing the action within that light, and letting the moments unfold. It’s the participants themselves, their family, friends, loved ones, that provide the magic. We also love capturing the natural moments between a couple…their laughs, their emotion, their smiles, etc. So often, the best photo is a candid moment that happens between poses, or during a part of the day where people are not aware of the camera. Our goal is to have people comfortable enough with us that they forget the camera is there. That is when their true emotion comes out. Why do you think wedding photos are important? The most important thing at a wedding are the couple, their vows, and love for each other. Photography is an an important way to capture their love and celebration for future generations. We love looking through Cindy’s parents’ wedding album from 1960 and cherish having that heirloom as a window to our family history. Cindy’s Grandmother passed away a week after our own wedding. We will treasure forever the images we have with her from our wedding day. As photographers we are not just capturing the wedding, but also the legacy of family and friends. Do you have advice for couples that would like to have their wedding in Yosemite? Our advice for couples marrying in Yosemite (especially those planning from afar) is to rely on the expertise of experienced area professionals to assist and advise on the wedding logistics and free yourself up to enjoy your day. The professionals at every venue are excellent and go over and above to help guide couples through the event planning stages. There are also wonderful area vendors including florists, beauty stylists, planners, officiants, musicians, DJs (and your photographer, of course), who know the details about Yosemite and can help couples navigate timing, schedules and logistics within the National Park to make the day perfect and stress-free! What has your experience as wedding photographers taught you?